Good commercial electricians have gone through extensive training and take continuing education classes all through their professional lives. While you may not think of hiring an electrician before having an electrical emergency, it's a good idea to research local electricians in Colorado Springs and set up a business relationship with one before you absolutely need him. This allows you to check credentials on multiple candidates and choose the one who best fits your business needs. A reputable commercial electrician will stay up-to-date with the National Electrical Code, which covers all commercial installations and which is amended every three years. Make sure your candidate electrician requires his entire team to take regular training classes. 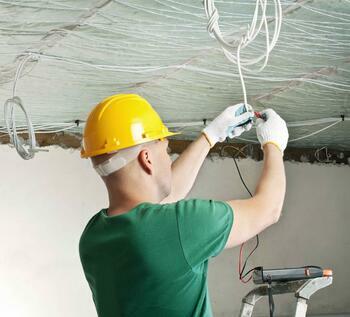 Reputable electricians know the regulations on pulling permits for all new builds as well as renovations. Colorado Springs has its own regulations covering electrical work, as do other communities, and a good local electrician knows what's needed in your community. The State Electrical Board licenses commercial electricians who work in Colorado Springs. Always check to make sure your potential electrician is current on his electrician's license. The license procedure is set in place to prevent people from working on electrical systems without the correct knowledge and training. Berwick Electric’s Colorado State Electrical License is number 11! While subcontractors can be solid and reputable people, it's a good idea to know exactly who's going to be doing the work and how much they actually know. Does your commercial electrician specialize in certain types of work? Find one who does, if at all possible if you've got a specialized job. If you're planning to rehab an old inn into a restaurant, you'll probably find problems a specialist has dealt with before. On the other hand, if you have a job spanning a wide variety of tasks, go with the generalist every time. By checking testimonials and reviews from former customers, you’ll be able to identify a solid electrical company to use. When it comes to the business side of dealing with a commercial electrician, having more paperwork is better. Reputable contractors will warranty their work, guaranteeing it will last for a reasonable length of time. When it comes to insurance, it's crucial that they have insurance on all their workers and on the job itself. All sensible professionals cover themselves in case of accidents and acts of nature, and will stand behind their work.